Many wells drilled with underbalanced coiled tubing drilling (UBCTD) require a casing exit system to create a window in the original well through which the drilling BHA can pass to drill the sidetrack. 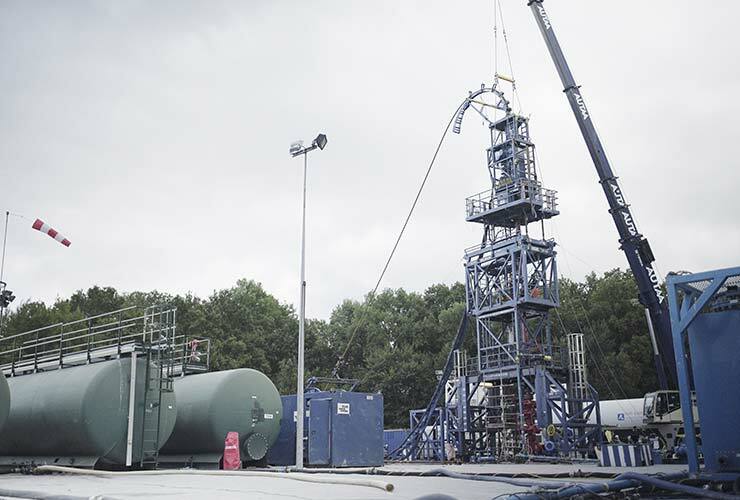 Casing exits can be carried out using whipstocks set on coiled tubing, workover units or drilling rigs. Whipstocks are available for both monobore and through tubing applications on coiled tubing. There are two common methods for setting a whipstock on coiled tubing – either as two runs, one for the anchor and one for the whipstock, or in a single run where the whipstock and anchor are run together and oriented using an orienter. When exiting a vertical, or near-vertical wellbore, both systems require a gyro to be used to take an azimuth survey of the whipstock orientation due to the magnetic interference inside the casing. In the case of the single trip system, this means that the gyro must be integrated into the BHA but for the two-trip system a wireline truck could be called off to run the gyro survey on the anchor once set. When evaluating your CTD project you should assess the best method for carrying out casing exits. In some land operations, it makes commercial sense to utilise a workover unit to carry out the casing exit due to low cost and high availability of workover units. In other locations, for example offshore, it is better to carry out all the operations using coiled tubing due to issues with mobilisation and cost. When planning a UBCTD re-entry campaign it is important to decide your casing exit strategy and analyse the best method for realising the campaign objectives within budget. If utilising workover units to carry out the casing exits (and potentially to run completions) then a particular focus should be placed on the scheduling of the workover and CTD operations to ensure the minimum cost and the earliest first oil. If the decision is made to carry out the casing exit on coiled tubing then it is advisable to use a Milling Monitoring Tool (MMT). The MMT gives real-time downhole WOB, TOB, internal and external pressure, and vibration readings. This allows the operator to optimise the milling parameters and therefore minimise the time spent milling the window.